A facade grant is available to local businesses for work on areas of their building that face a main South Whitley street. 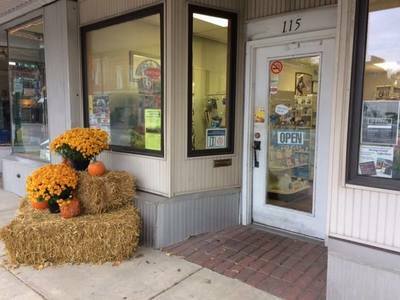 The matching grant covers 50 % of a project pre-approved by the South Whitley Main Street Design Committee and our local town council. 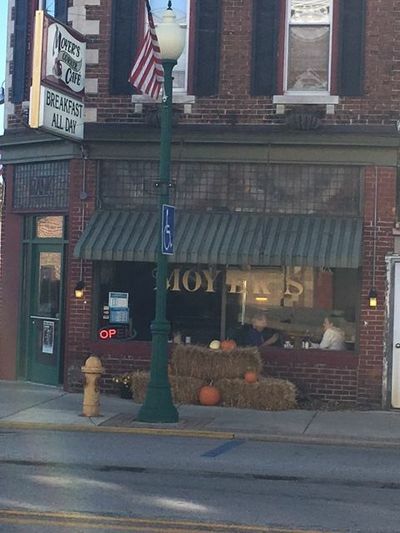 This facade grant helped the Dickmeyers fund the siding, windows, and sign on the front of the building only. However, the entire exterior has been transformed and made structurally sound at the expense of the building owners. Exterior work was done by Smith Roofing & Remodeling. 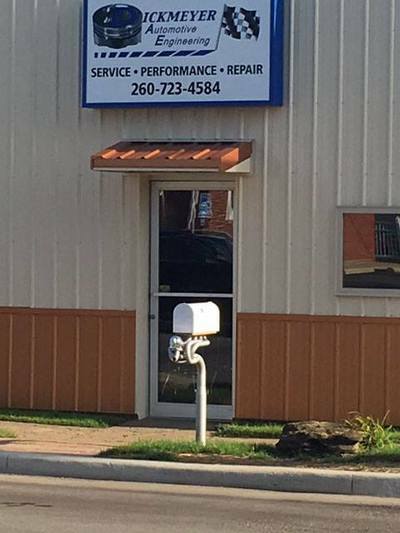 Congratulations to Dickmeyer Automotive, which has been owned and operated by Matt Dickmeyer and located in South Whitley since 2005. Brewing Grounds Coffee House was purchased by Dusty Dobbs and Amanda Howard on January 31st. The family lives in South Whitley and Amanda is employed by the town. 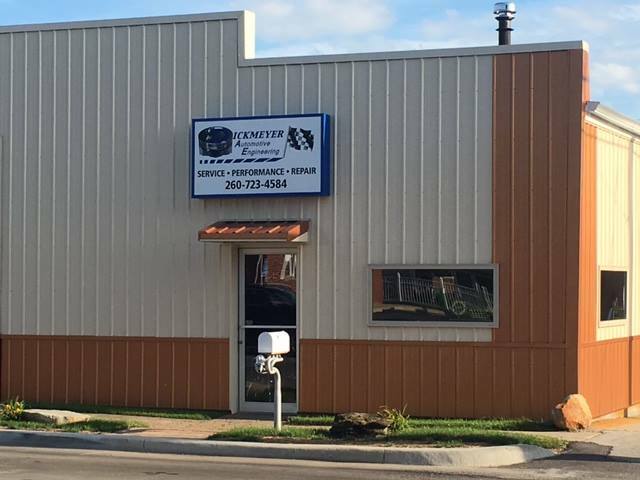 The new owners are looking to expand the business into the building to the south of the current shop. 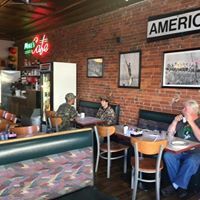 This will make more room for customers to relax with their cup of coffee, get something to eat and visit in a comfortable setting. 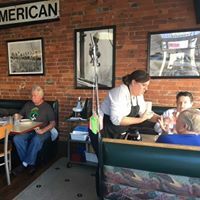 "We are hoping to get more food items on our menu," stated Amanda. She also commented she has always wanted to own a coffee shop so when this came up for sale, it seemed like the perfect time for her and her family. Their plans are to provide a place where high school students can gather after school: a place to work on their homework, enjoy time with their friends or drink their favorite coffee, all close to home. 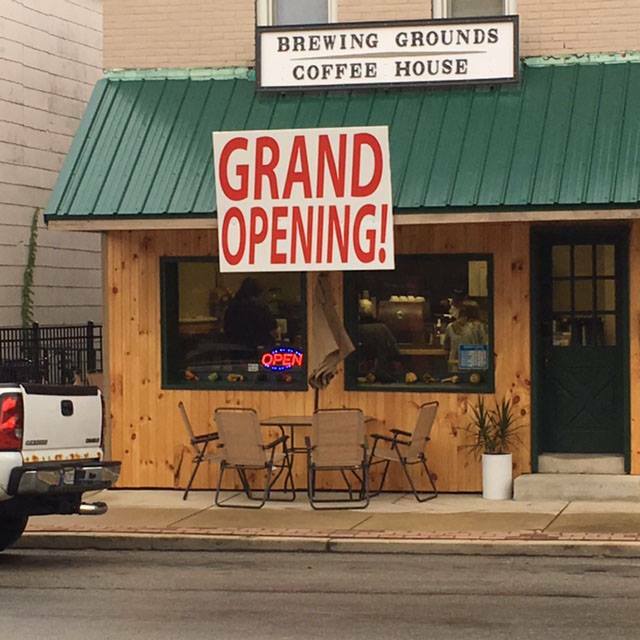 Thank you Larry and Rachael Hilty for bringing the coffee shop to South Whitley. We are happy to have it here and are looking forward to seeing the expansion. Congratulations to Dusty and Amanda on your new business!! 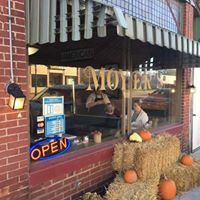 Stop at Moyer's Cafe for a yummy meal anytime-breakfast, lunch and dinner!! If you are hungry for something sweet, try their pie. Friendly service in a cozy atmosphere. See you there!! John Dunn, our local barber, has been making South Whitley men look good for years. ​ He also enjoys discussing sports. 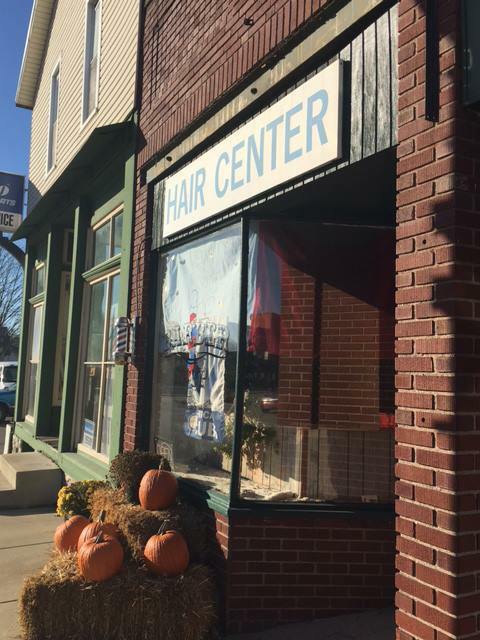 Visit the Hair Center! 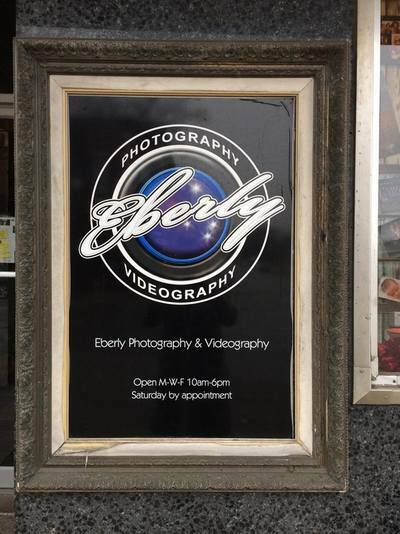 South Whitley is lucky to have two of the most creative and talented artists in Whitley County, Terry Eberly and Jennifer Krider of Eberly Photography & Videography! Jeri Hippensteel moved to the South Whitley area in 1989 with her family. At that time she was working in Warsaw and it was the half way point between her job and her husband's. 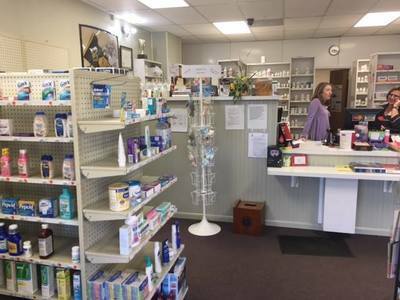 In 1992 Jeri began working at our local drug store, Key Pharmacy, which was located at the corner of State and Columbia Streets. Three months after Key was totally destroyed by fire, Hippensteel opened the doors of Hipp Drug to the citizens of South Whitley. That was in 2006 and the rest is history. 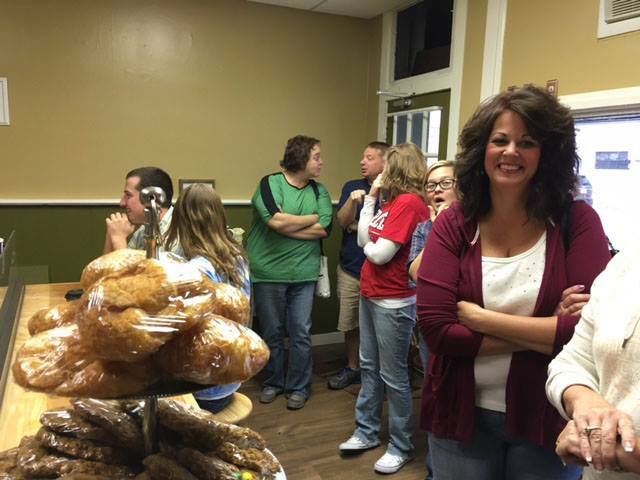 There are many things Jeri says she loves about owning her own business in South Whitley. Being close to home and the flexibility of being your own boss are a couple of the things she mentions as perks. 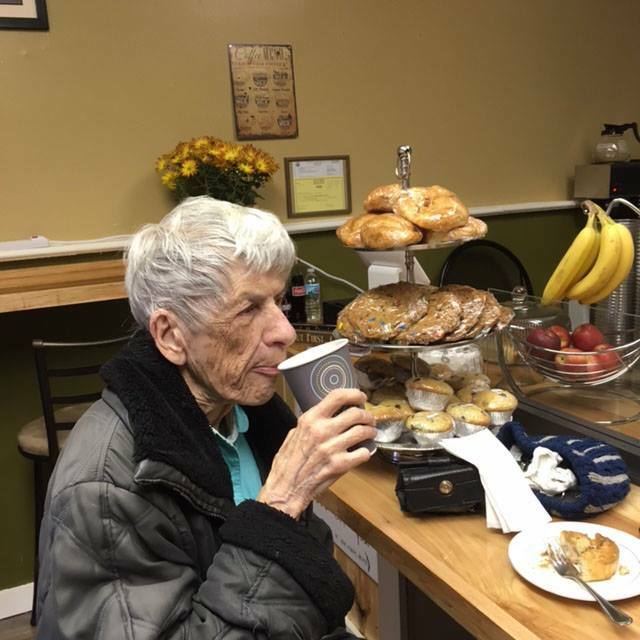 However, living in the same community as her special customers is one of the best parts about her job. 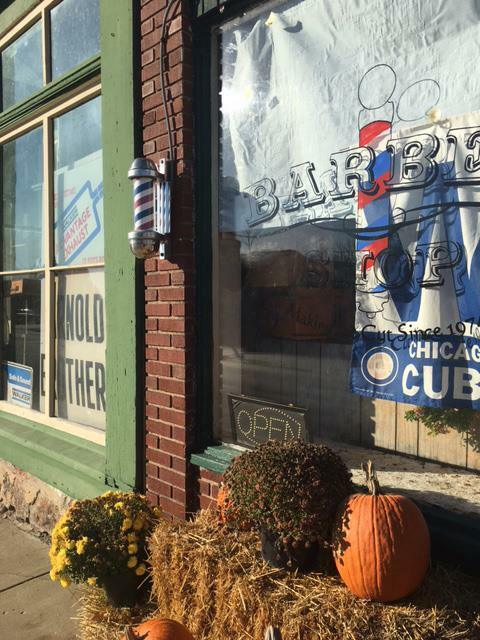 "In a small community things feel more human. I feel it is important to live where I work so I really get to know the customers," says Jeri. Hipp Drug is open Monday-Friday from 9 a.m. to 6 p.m. and Saturday from 9 a.m. to 1 p.m. 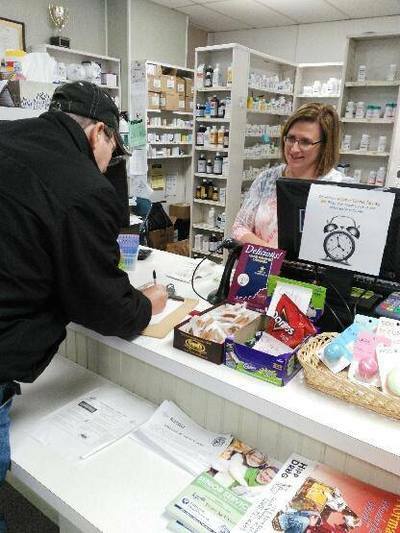 They have a free vitamin program, and offer free counseling on the proper use of medications and their possible interactions with other medicines. These are available even if you are not a regular Hipp Drug customer. Thank you, Hipp Drug, for being an important part of our community and calling South Whitley home. 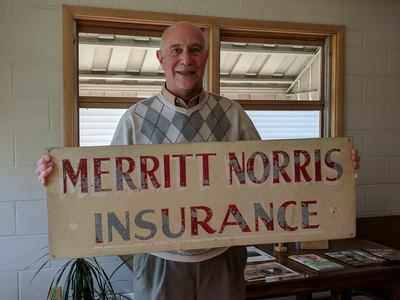 Merritt L. Norris Insurance Agency has been in business in South Whitley since April of 1945. Dennis Norris’ father Merritt started the agency in the front room of his home, where it was located until 1956. 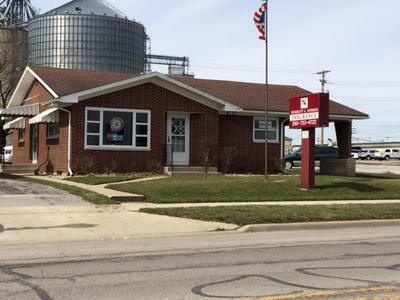 A new office was constructed in its current location at that time and included a drive-up window and car port, things no other businesses had at that time. Dennis reports people have always enjoyed using these convenient features. Over time, Mr. Norris purchased three or four other agencies, always retaining the Merritt L. Norris Insurance Agency name. The elder Norris came into the office almost every day until his passing in 2000, at age 81. Dennis started working at what he thought would be a temporary position with the agency in September, 1975. 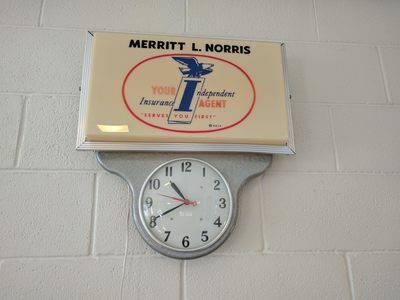 At that time there were five insurance agencies in South Whitley; the Norris agency is the only one now remaining after almost 42 years. When Dennis began his work in the insurance field, he used a policy manual and a calculator to enter about three to five pieces of information in order to determine the premium for those seeking coverage. Now everything is done by computer and dozens of figures are used to compute those premium figures. The business has become much more fast-paced, as well. Back in the day, mailing documents to the companies led to waits of four to five weeks for receipt of the policies. Now proof of insurance can be received much more quickly because of computers. Norris also reported that in the past companies put their trust in the local agents to determine the risk factors for the insured, because they knew their policyholders. Now computers make these decisions, without any personal knowledge of the local community. The insurance business and the citizens of South Whitley have been good to the Norris family. 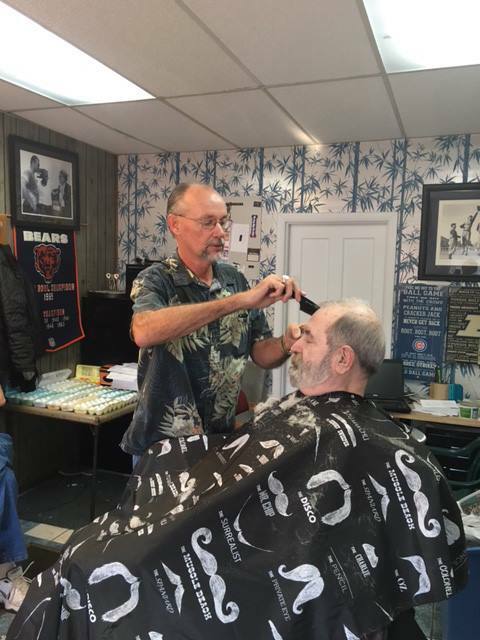 Dennis says he has been able to be involved in community work, yet has also had the flexibility to assist in the care of his family and parents as needed. South Whitley is lucky to have the Merritt L. Norris Insurance Agency and its dedicated owner, Dennis Norris. Drs. 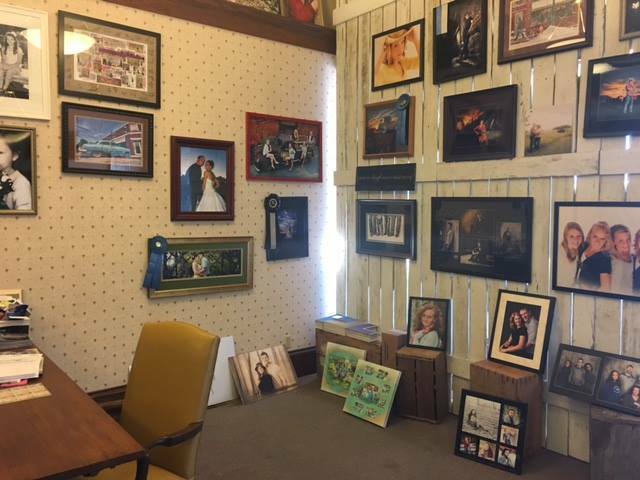 Tim and Kelly Lynch have been a part of the South Whitley community for over 30 years. 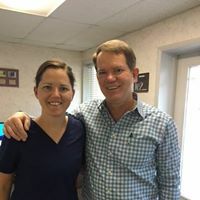 With a few of their original employees, they have become a very successful dental practice, offering a variety of services in a friendly, comfortable atmosphere. 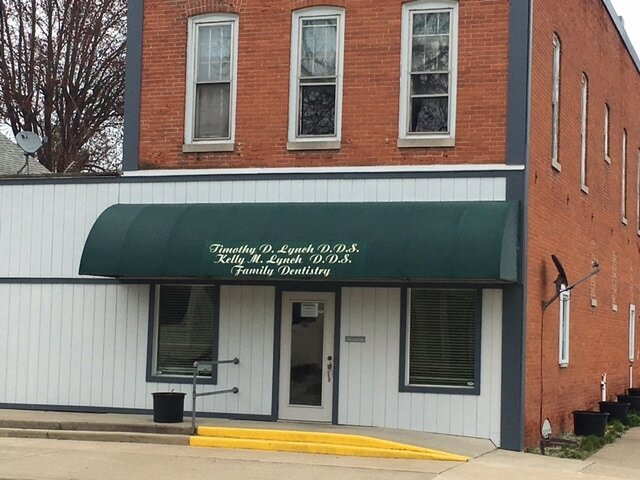 The building that houses the dental office has quite a history. It was originally the Matson's Food Market, which was built in 1893. In 1900 it was lost due to fire. The structure was rebuilt the following year. An addition was built onto the north side of the building in 1963. Stan Duggins, lifetime resident of South Whitley, purchased the property in 1976 and used the main floor for a NAPA Auto Parts Store. The upstairs was used for dancing and roller skating. Dr. Tim Lynch purchased the building in 1989, remodeled it and the rest is history. Tim graduated with his undergraduate degree from IU and Kelly from Purdue. The couple met at IU School of Dentistry. Tim graduated in 1983 and Kelly in 1984. 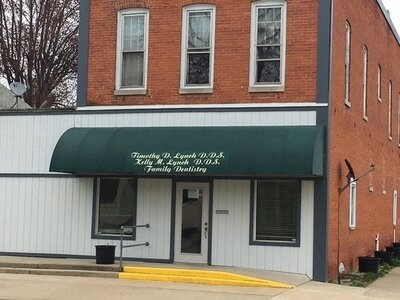 Dr. Lynch started his own dental practice in Fort Wayne and then decided to open a second location in South Whitley in March, 1985. 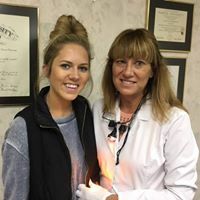 After working for Dr. Platt in Fort Wayne for 4 years, Dr. Kelly made the move to the South Whitley office. The two doctors began alternating days and continue to do it that same way, after all of these years. The office is closed on Wednesdays, but keeps very busy on the other 4 weekdays. There are 7 employees, 2 of which have worked there from the beginning. LeAnn and Cindy are familiar faces to the patients. The group offers a variety of treatments in our own community. 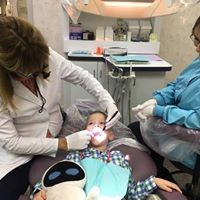 Their basic comprehensive dentistry includes cleanings, crown/bridge/extractions, sealants, bleaching, implants, and removable appliances. They continue to take new patients and are Healthy Indiana Plan Providers. Tim and Kelly have 3 children. Jonathan is in his 4th year of residency at Henry Ford Orthopedic Surgical Center, Meredith will be starting dental school in the fall at IU, and Allie is a dental hygienist in both locations owned by her parents. By 2021 this will truly be a family practice, when the Lynch daughters will both be involved. Meredith plans to join her parents when she graduates in 4 years. When Kelly was asked what she likes about having a business in South Whitley, she states," I am from a small town, so I just love working in a small town. No traffic and the people are great. I love my patients." To Drs. 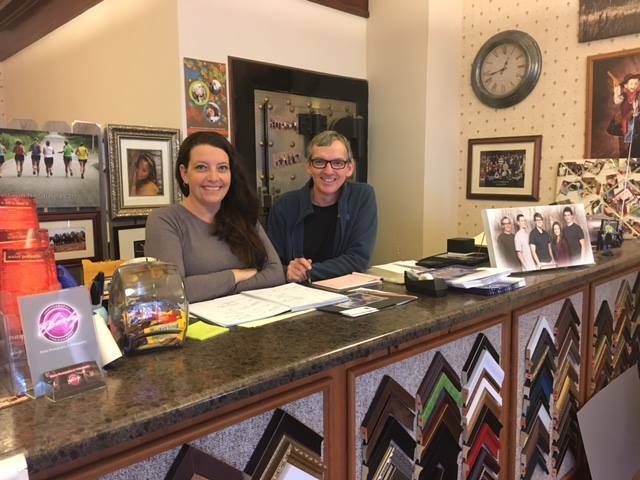 Tim and Kelly and your amazing staff, we are happy you are here. We look forward to many more years of your exceptional patient care and we thank you for all you do for the people in our community!